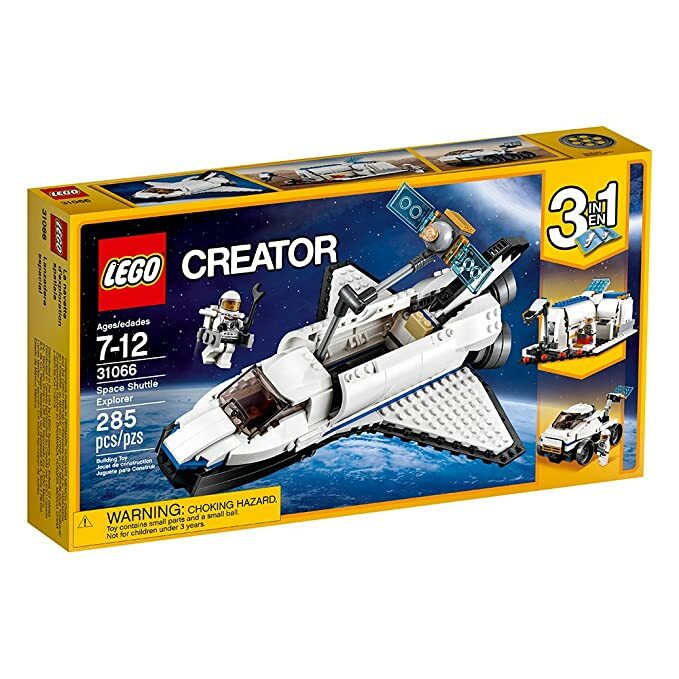 Amazon.com 现在这套乐高的创意三合一 LEGO 285-Piece Creator 3-in-1 Space Shuttle Explorer 降价后 for just $20.99 (regularly $29.99). 这套lego 一共有 285 pcs. This LEGO set includes 285 pieces and features an opening payload bay, a robotic arm, a satellite with fold-out wings, and a mini-figure cockpit. You can also rebuild it into a Moon Station or a Space Rover!